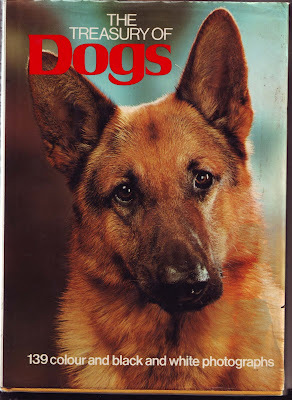 I bought this book about Dogs in the thriftstore, I has a great cover and the more than 139 colour and black and white photographs inspire me. And the texts next to the photo's are kind a funny in its own way. 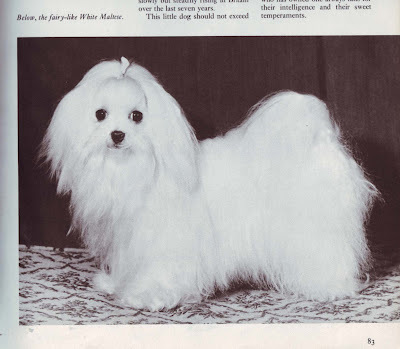 This one for instance: The fairy-like White Maltese. But in most picture credits is trying to convince the reader NOT to buy this dog. It always comes down to the same thing: They might look cute but they need a lot of work. I guess he is right. 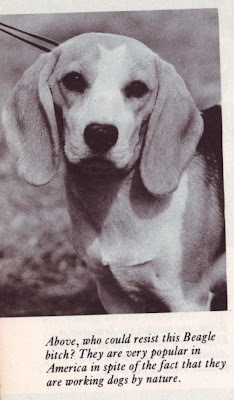 I will stick to the book for now, and will not buy a cute looking Beagle today.